Sure, the quad-core processor in the supercharged Raspberry Pi 2 runs circles around its predecessor, but don’t forget: The original Raspberry Pi 1 Model B+ was a massive inspiration for the development board movement that flourished in its wake, and still a fine machine in its own right—especially if you’re looking to use it as the brains for a maker project rather than a cheap mini-PC. But the O.G. 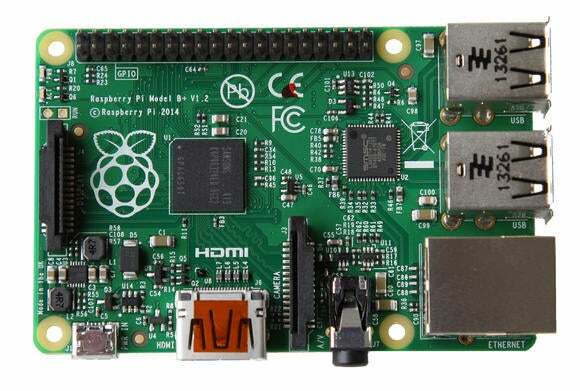 Raspberry Pi has had a problem since the Pi 2’s launch. The Model B+ still sold for $35, a.k.a. the exact same price as the Raspberry Pi 2. No more. On Thursday, Raspberry Pi Foundation founder Eben Upton announced that the original Model B+ is receiving a price cut to $25, which should help differentiate it from its successor as well as make it more attractive when compared to competitors like the $9 Chip PC currently being crowdfunded. The Raspberry Pi 1 Model A+—which lacks ethernet connectivity and offers fewer USB ports than the Model B+—is still available for $20, as well. “But what can you do with the original Raspberry Pi if you’re not going to use it as an ultra-cheap Linux PC?” you ask? Well, it still works wonders as a low-cost networked media streaming device, especially once you’ve loaded OpenElec on it.